water, soybean oil, cream, spices, contains 2% or less of: roasted garlic, modified food starch, sugar, salt, xanthan gum, lactic acid, natural flavor, gum arabic. 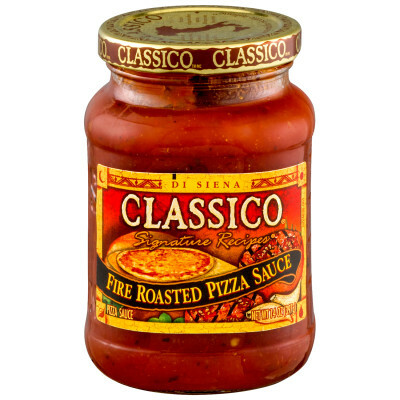 In Naples, the first pizza was invented centuries ago. And since then, the Neopolitans have invented many delicious variations of the pizza. 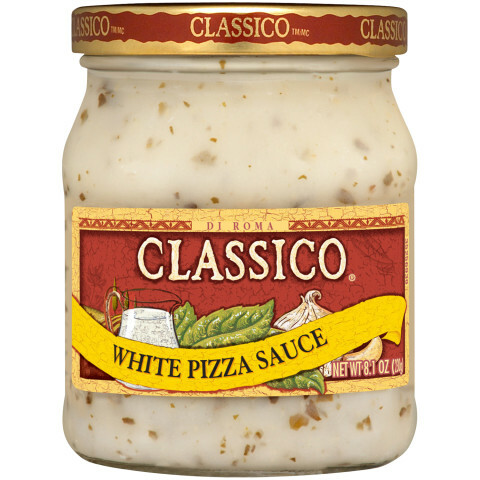 Here, our White Pizza Sauce is a new spin on a classic recipe. Literally Italian dressing with garlic. You ain't fooling nobody Classico. Unfortunately none of the grocery stores in my area carry it. Walmart use to but they decided to stop stocking it in store. Very disappointed, I can't eat red sauce! I love this stuff, we don't buy anything else now. 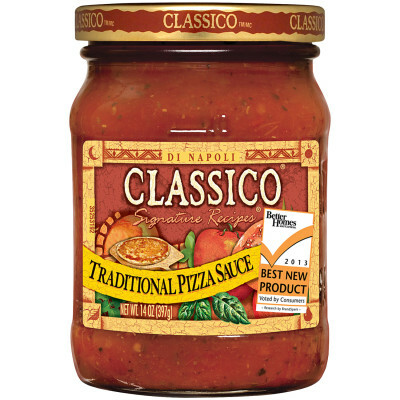 Unfortunately, Walmart stopped carrying it in the the store so I have to order it from Walmart.com, but it is the best. I'm ordering 6 jars right now. Please don't stop making it.